PLEASE NOTE: If you need to manually add a caption file to your mpx you will first need to contact your 3Play Media account rep or 3Play Media support to have this custom SRT format added to your account. Once the SRT (Custom) has been added to your 3Play Media account, follow the steps below to download and associate this caption file with Media residing in your mpx. Follow the steps below to add captions and subtitles to Media residing on your mpx. 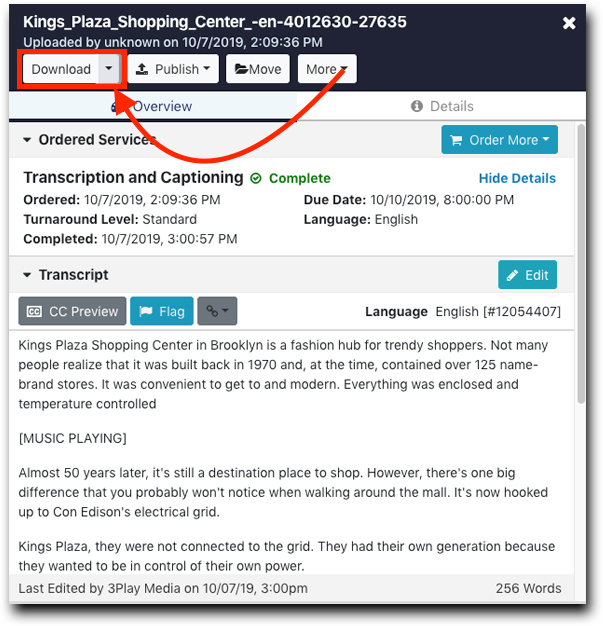 First you may want to configure the SRT (Custom) caption format as one of your Favorite Formats so this will be available by default when performing a Quick Download. See more information on how to configure your Favorite Formats. Once logged into your account, click on the file's name to open the file show page. Click the Quick Download icon. From the drop-down menu that appears click SRT (Custom) from list of Favorite Formats. Once selected, your file will download to your computer in the SRT (Custom) caption format. If you have not yet, configured your Favorite Formats, the drop-down menu will display an option to add favorite formats. 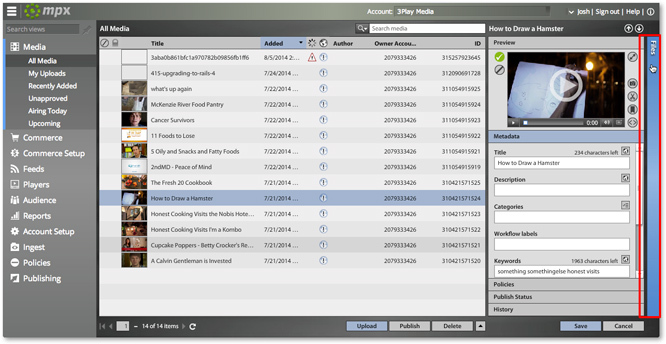 Navigate to All Media and select the Media that corresponds to the SRT file that was downloaded in step 3. After a Media has been selected from the list of media objects, click the blue File blade located on the right-hand side of the page. From this page you will be able to view the media files associated with the selected media object. 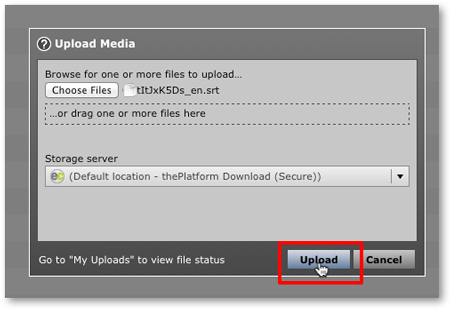 Click Upload located below the list of media files associated with the media object to open the Upload Media dialog box. From the Upload Media dialog box drag and drop the SRT captions and subtitles associated with this media object or click Choose Files and select and upload these files from your computer. After the SRT files have been added click Upload. Click the SRT caption file once it appears within the list of media files associated with the Media. 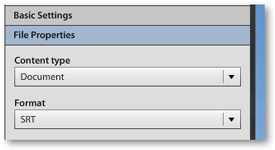 Click on File Properties located on the right-hand side of the page. Under Content Type make sure that Document is selected. Under Format make sure that SRT is selected. If these are not set within File Properties as described above, make the necessary changes and click Save.